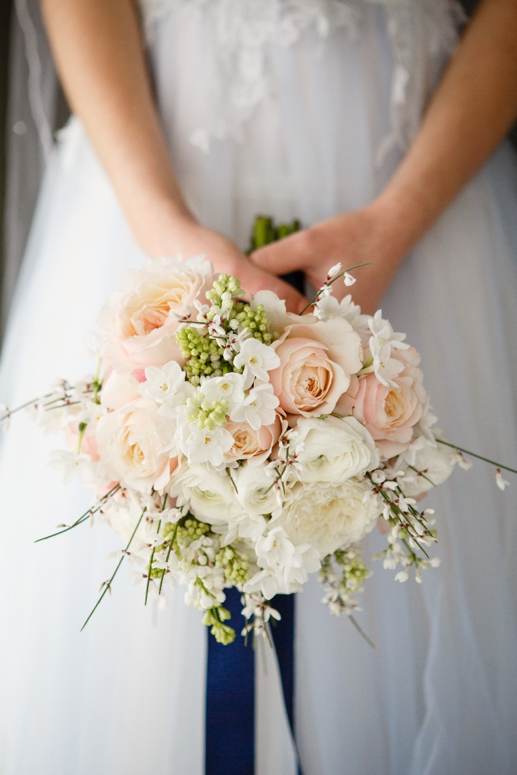 For many couples choosing wedding flowers can be a daunting task. Couples are flooded with images on social media of beautiful floral trends, each one as gorgeous as the last, so deciding on their final floral style can seem simply impossible. This is when collaborating closely with an experienced florist such as Beverley Nichols from Jades Flower Design is an absolute must, in order to achieve the style of their dreams! When couples first approach Jades Flower Design to discuss wedding flowers, they are invited to the design studio in the pretty village of Coggeshall, for an initial consultation. The first meeting is so important and is a process which our designer Beverley thoroughly enjoys. STYLE OF DRESS: Once the bride has decided on the style of her dress, the florist will be able to design a bouquet which complements the gown perfectly. It is so important to ensure that the correct flowers are used against the dress. If the gown is heavy lace, less textured flowers should be used against it. If similar textures are close together they merge and the bouquet will have less impact. The bouquet and dress should complement each other and neither should dominate. The shape of the bouquet is also vital. Shower or teardrop bouquets have become popular again – although the vast majority of brides still prefer round hand tied bouquets. Shower bouquets have a more formal style and are held directly in front of the body. If the gown has beautiful decoration on the bodice a shower bouquet would hide this. This is where an experienced florist is a must as it’s so important to have the perfect bouquet in order to complement the bride’s style. Once the style of bouquet has been decided and the flowers to be used, this is a helpful starting point as it can indicate the style of the wedding and the other arrangements required. Jades Flower Design is one of our recommended suppliers at Hockwold Hall.